Listen up! If you don’t clean out your earwax often enough, it might be a good time to start. Listen up! If you don’t clean out your earwax often enough, it might be a good time to start. While taking better care of your ears may not strike you as a good new years resolution, don’t let that discourage you. Most people believe that the new year is another opportunity to invite better health and reflect that belief by hitting the gym. Stand out from the crowd this year. There are two primary types of earwax. These are known as wet and dry earwax, and the variety you have depends on your genetic makeup. If your heritage is East Asian (for example, from China or Korea), you will have dry earwax. The same is true if you are Native American. If you don’t belong to these groups, you will have the wet kind instead. The wax in your ears also serves an important scientific purpose: anthropologists can study the different kinds of earwax to see where groups of people have gone throughout human history. Believe it or not, the wax clogging your ears is only trying to help. The fragile skin inside your ear canal needs something to cover it, and that’s what the wax does. This coating is a vital part of preventing earaches and ear infections since the wax can stop any germs before they can harm your ears. What’s in a name? That famous question can be applied to several different lines of inquiry regarding many things. But we bet you didn’t know that the wax is only a name. The clumps that you clear out of your ears look and feel like wax, hence the name. Discarded skin cells flake off from your ear canal and combine with oils from two obscure glands near your ear: the ceruminous gland and the sebaceous glands. Whenever you try to remove the wax, remember to do so safely. Cotton swabs are not a good idea nor are any other similar substitutes that might poke or scrape the eardrum. If you have any conditions that affect your ears, it’s best to let a doctor clean out your ear for you. If your hearing hasn’t improved even after your ears are freshly-cleaned, it could point to something more serious. 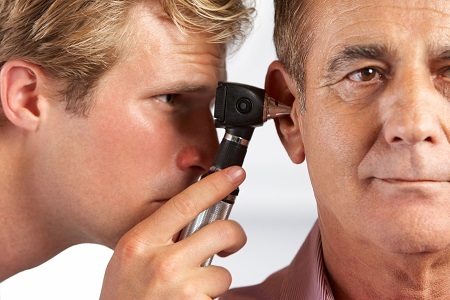 Consult your doctor, and they can help you arrange an appointment with an audiologist to perform a hearing test, should you need one. This entry was posted on Friday, January 5th, 2018 at 10:06 am. Both comments and pings are currently closed.